Our clients can avail from us a superior range of Material Handling Units that are fabricated using optimum quality material that are sourced from certified vendors in the market. They are available in various shapes and sizes. These units require less maintenance cost, low power consumption and high efficiency. Our ranges of products are widely appreciated by our clients for generating minimum noise and offering high efficiency. 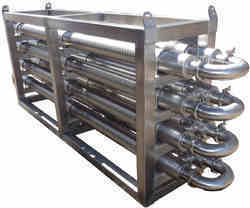 They are used in various industries like chemical, automobile, pharmaceutical for food processing. 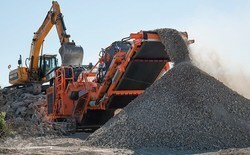 We provide unmatched range of Sifters, Crushers, Milling Equipment that is manufactured using premium quality materials and latest technology. They are highly demanded for their salient features like longer service life, sturdy design and reliable operation. Our range is offered in compliance with international quality standards which help in meeting the requirements and demands of our clients. 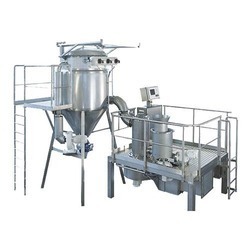 These equipment are widely used in various industries. We offer high quality of this Drying Units that are used to make the air absolutely free of heat and exhaust emitted from machines and other equipment in the work area. They are well known for their superior quality, high material strength, low maintenance and high performance. 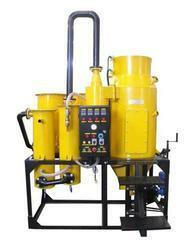 These drying units are preferred choice in various industries for different applications. They are also checked stringently by quality analysts to ensure that defect free range is supplied to our customers. 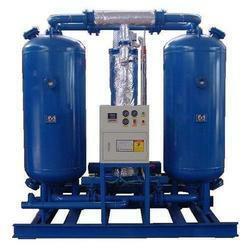 We offer drying unit in various specifications to cater to diverse requirements of our clients. Our organization provides a superior range of Biomass Gasifier which are manufactured using high grade materials and applying sophisticated technology. Owing to our features like excellent performance, smooth operations and easy maintenance they are highly demanded in the market. 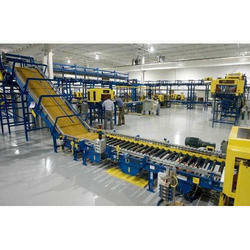 They are used in various industries for different applications. Our ranges of products are also checked stringently by quality analysts to ensure that defect free range is supplied to our customers. 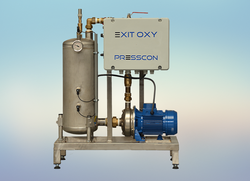 Our clients can avail from us an extensive array of Heat Exchangers that are used as a device built for efficient heat transfer from one fluid to another. These are manufactured using quality materials which are sourced from certified vendors in the market. They are well known for effective functioning, durability and available in various shapes & sizes. Our ranges of products are highly appreciated for its high performance, simple installation, less maintenance and long operating life. We are the prominent manufacturers and suppliers of a wide range of Distillation Units which are fabricated using qualitative grades of raw material and are catered to numerous application areas in hospitals, labs, oil refineries, chemical and petrochemical industries. 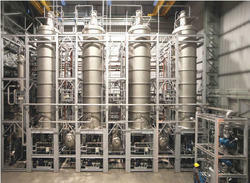 They are widely used for carrying out reactions under stirred conditions. These units are well known for their longer life, excellent finishing, compact design and require less maintenance. They are easy to operate. We offer customized sizes as per requirements of our clients and at market leading prices. Our organization provides a superior range of Flash - Spin Flash and Vacuum Dryers that ensure trouble free performance, dimensional accuracy and longer working life. They are manufactured using the finest grade materials that are procured from the reliable sources in the market. We also offer customized solutions as per the specifications provided by our clients. Our ranges if products are quality tested on well defined parameters before being delivered to our clients. Nitrogen Blanketing Units are available with nitrogen gas at the outlet at purity. These units are simple to operate. Our ranges of products are widely used in varied industries such as steel industries, pharmaceuticals, cold rolling, annealing, petrochemicals and many more for various applications. These are available in various sizes, shapes and are highly demanded for its features like high tensile strength, optimum quality and high performance. Clients can avail these at affordable prices. Looking for Individual Equipments ?